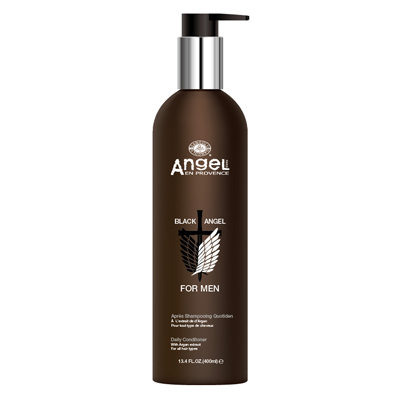 Black Angel Daily Conditioner is specially made for calming the scalp. Formulated with natural peppermint oil, which can reduce the return of oily texture. With Perilla Frutescens and Vitamin E, it helps to moisturise and create a smooth feel. Designed for frequent use. To Use: After shampooing, apply a small amount of conditioner into scalp and distribute evenly, leave in for several minutes and rinse thoroughly.